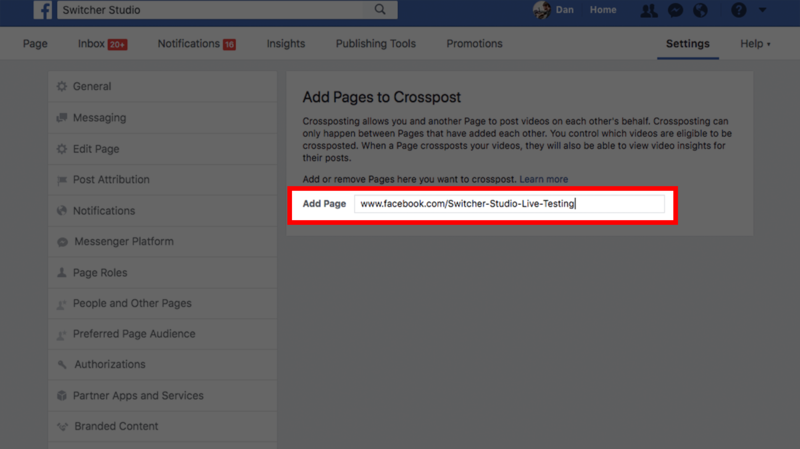 Follow these steps to crosspost your Facebook Live Videos to multiple pages you manage. 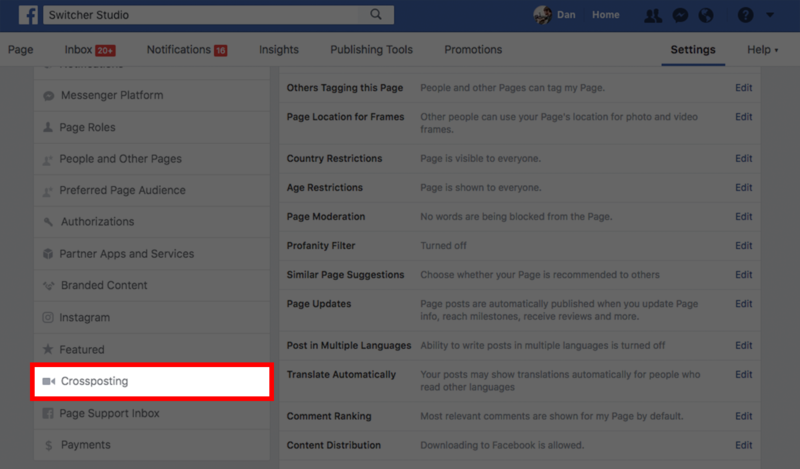 Start by navigating to your Facebook page and click the settings icon in the upper right. Now scroll down and click "Crossposting" on the left. 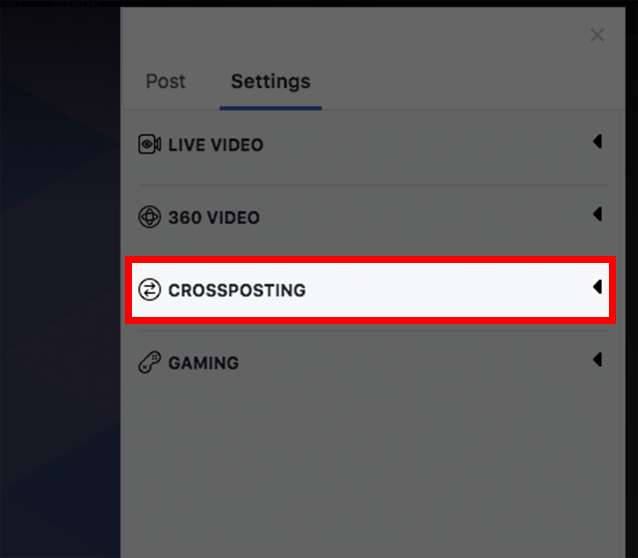 If crossposting does not appear, double check that you are an admin of the page you are trying to use. 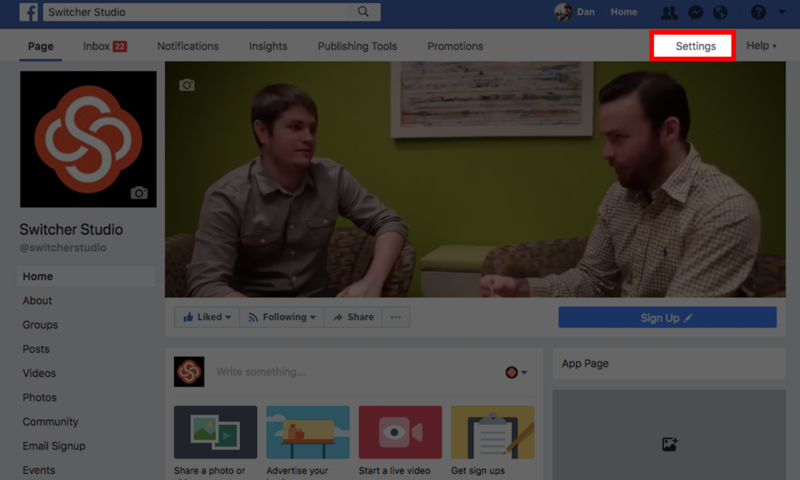 Enter the Facebook page info you want to cross post your videos to. Choose how you want the "handshake" between the two pages to work and select next in the bottom right. Now click down to finish setting up crossposting. 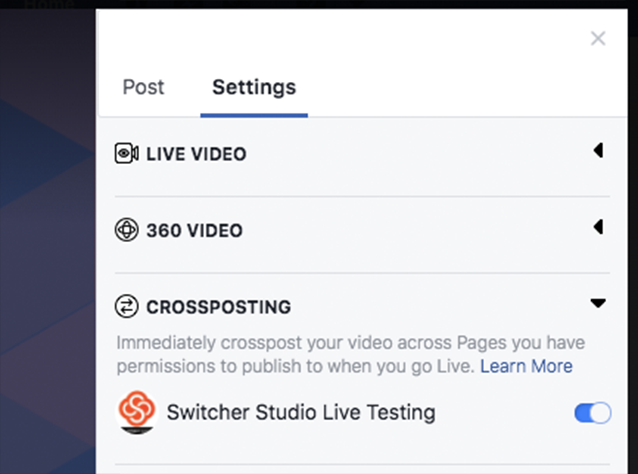 Now navigate your publishing tools to create a new live video. You can reference this article for help creating a new live video. Now select settings in the top right of the new live video. From the new menu, choose crossposting. You can now choose which pages you would like to crosspost to. When you go live, the video will appear on both pages. 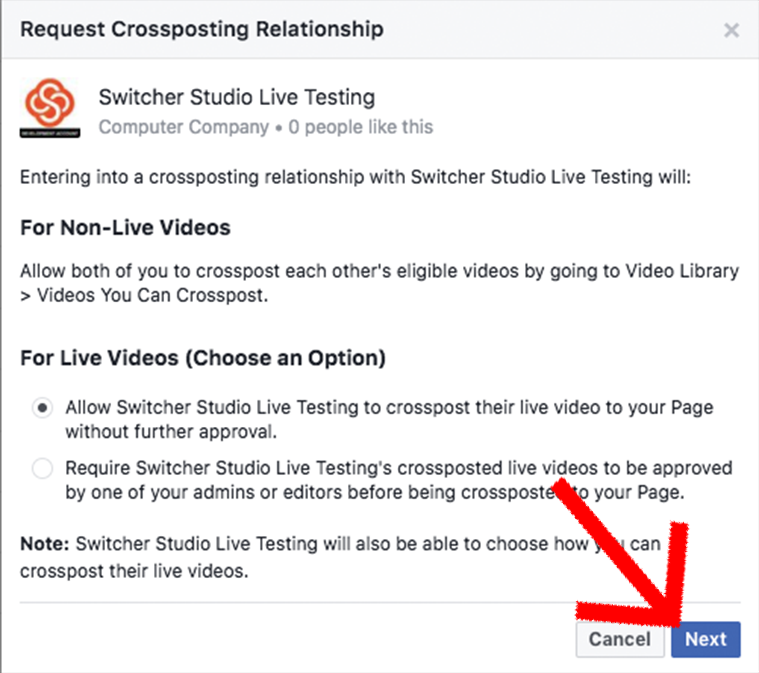 This method necessitates the need to also pre-schedule your Facebook Live broadcast. Follow the steps from this guide to set this up.